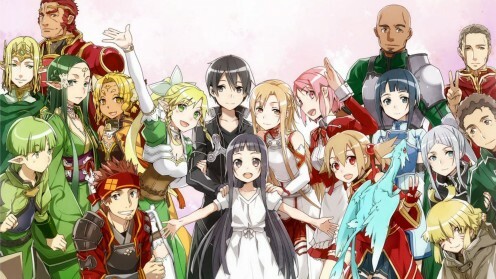 In the year 2022, a virtual reality massive online roleplaying game called Sword Art Online is launched. With the use of the special equipment “NerveGear”, people can control their avatars using their own thougths only. Kazuto Kirigaya, also known as Kirito, is one of the lucky few who have the chance to play the game. Soon, all ten thousand players realized that they cannot log out of the game. The game creator trapped everyone until they complete all one hundred levels within the game. Another consequence, is that when they die in game they also die in real life. Kirito and the other players must now adapt to this new world and they must survive the game the best they can. Sword Art Online (SAO) is an anime adaptation of the japanese light novel with the same title. It was written by Reki Kawahara. This series took place in the near future and focuses on virtual reality Massively Multiplayer Online Role Playing Game (MMORPG). What I like about this show is that, it has a good storyline. It does not only tackle about the game but also dealt with psychological issues, love story, and has comedy in it also. I also like its drawing or the graphics. The fight scenes are so fantastic, the monsters and bosses are so colorful and the character designs are also wonderful. One thing that I really love about this show is its music. It does sound like you are really playing an MMORPG. I really enjoyed the show. I also didn’t get why there are many haters of this show. But the good side of it is that it also has many fans. But overall for me is that every show has it flaws and not every show is perfect. But this one is good for me. One of my all time favorites. I am a bit bias with this. But I think strengthening the storyline will make it more enjoyable to all. And no cringey fillers also. Sora and Shiro are half siblings. They are a shut-in NEET or “Not in Education, Employment or in Training”. They are the genius in every possible game there is. They don’t like the real world seeing it as just a lame game. One day, they received an e-mail with a challenge for them to play a game of chess. With these, their life changes. They were sucked into the computer and were transfered into a new world where they met Tet, the so called God of Games. The two siblings are now stuck in a world where all differences are settled in games. With these the story unfolds. This is not a “trapped in a game” series, but this is a “transferred in another world” series. Also about two step siblings that are NEET – a person who is “Not in Education, Employment ot Training”. I don’t actually enjoy this series and I find this overrated. Since all the games participated by the main characters the won in an unimaginable way. Just like the “coin toss”, it is a load of crap putting that in the series. But I did not put this in my list just to say negative things about the anime. I actually like the graphics or the design of this anime. It’s new to me. Also one off about this is too much fan service that when you took all of it I think only half of the whole season 1 will be left. A bit overrated. I wish the fanservice is less. Faster storyline should be great also. From the guy that brings us Sword Art Online, comes another story about an MMORPG. Accel World is a story about a guy named Haruyuki Arita. He is an overweight, bullied middle schooler who hated the real world. In this year all the students are wearing the Neuro Linker, it acts as a computer but it is connected to the person as a collar like object. With these they can use the virtual reality where they can play and chat using their avatars. 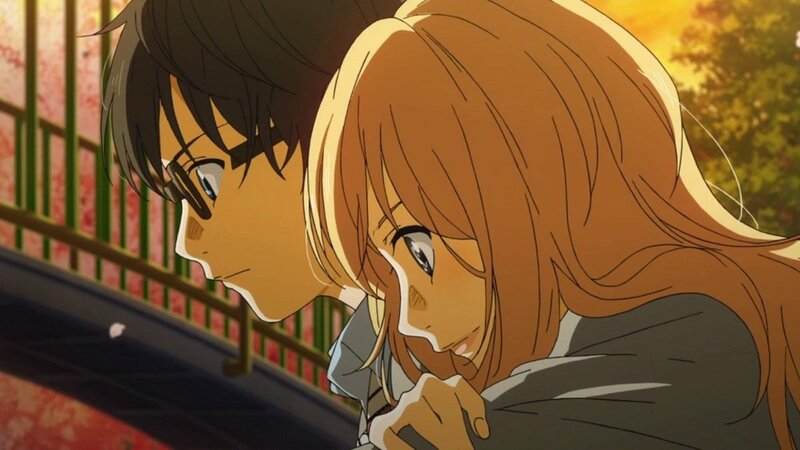 One day, Haru's life changed as he was noticed by the Student Council Vice President, Kuroyukihime or Black Snow Princess. She was impressed with Haru's video game skills so he introduced him to the Brain Burst. This game is a secret program where the it is able to accelerate human cognitive process to the point that it can slow time. With these Haru's story begins. This series is actually created by the one who also created Sword Art Online. This one is not the “trapped in a game” or “Transferred in another world” series, but its about a world in a near future where people has Neuro Linker, a collar like personal computer that communicate wirelessly with the user’s brain. It has two functions: Virutal Reality, a network where everyone can use. It will transport the user in a local network where you can play simulated games or to talk to other avatars; and Augmented Reality, it is where the “Brain Burst” Game takes place. Brain Burst is much more like Tekken or any fighting video game. That is one difference of this series to the other. It has also good visuals, but the thing I hate is that the avatar in Brain Burst is quite simplistic it might have been better but it is still enjoyable to watch. A good take on the fighting video game side of MMORPG. The story will be better if it will be given good plot rather than a lazy written one. After 12 year run, a popular Dive Massively Multiplayer Online Role Playing Game, Yggdrasil's game servers are shutting down. Momonga, the leader of the one of the strongest guild in the game, Ainz Ooal Gown, decided to stay in the game before the server shuts down. As the time comes for the server to be shut down, Momonga finds out that the game did not vanished. Instead, the game itself became as if its the real world. All NPC became beings with personality and feelings and most of all he cannot log out. He then begins to investigate if other people are stuck in the game. Momonga begins his adventure to searching for an answer and solving the mystery. It is basically another “trapped in a game” anime, but the difference of this series is that the main character is the only one stuck in it. Also, the NPCs gain some consciousness and personalities. It is also a little darker and violent than Sword art online. The main character, Momonga is also a bit of an antihero because he acts like a villain sometime. It has acquired plenty of fans and some thinks this show is better than SAO (Sorry not for me). I think this show is good but I dont like the main character’s design. It is a bit boring for me, maybe all the design is boring for me. The soundtrack for this series is quite good. You will be engaged will listening to the music and specially to its opening song. A change of main character design is what I like. Story is great but needs more depth. Overall, it’s good. AS the release of the twelfth expansion pack of the game Elder Tale, thirty thousand Japanese gamer find themselves trapped in the virtual game world. Shiroe, a socially awkward gamer team up with Naotsugu and Akatsuki to face the problems arising in this world. Along with the other player they started a journey to find out what happened and how they will live their lives inside the game. 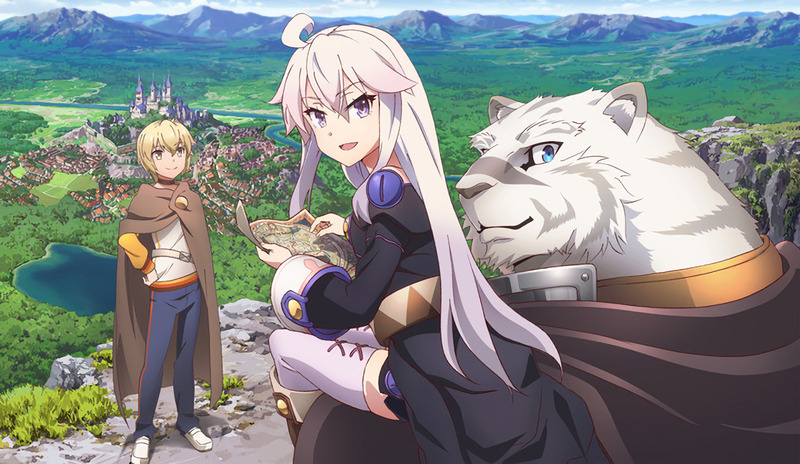 I can agree that the storyline of this series is much better than Sword Art Online. In Log Horizon, the story tackles more on the strategical, economical and political side of the MMORPG. Since they can’t log out of the game, they realized why not live their lives here for the time being. So that’s where the political and economical aspects are dealt with. There are also few monsters battling scenes because that is not the focus of the show. It is an exciting and enjoyable show even though there are less fight scenes. Some will say that this show is boring them, but I think they just want to see the real MMORPG thing – fight scenes. If they incorporate more fight scenes here the more the people will enjoy this show. But overall it is great. .Hack//Sign follows the story of Tsukasa, a gamer trapped in fantasy game. He then starts to find answers on why he cannot log out and why he has a slight amnesia. With his journey he will encounter different characters that will help him solve the mystery behind what really happened to him. This is my number 1 in this list because why not, right? I think this is the first “trapped in a game” anime. But in this series, the protagonist known as Tsukasa had woke up in a dungeon with slight amnesia. He is also the only one that is not able to log out of the game. Some will say that this is a boring anime much like Log Horizon. But the truth is that this has a slow pacing story but the more you watch this the more you will be hookes. The development of the story as each episode pass by is so great. Also, like Log Horizon, it has few actions or fight scenes, because this show focuses on finding out the reason why the main character can’t log out and his interactions to different characters. Also, this show has a dark side to it. 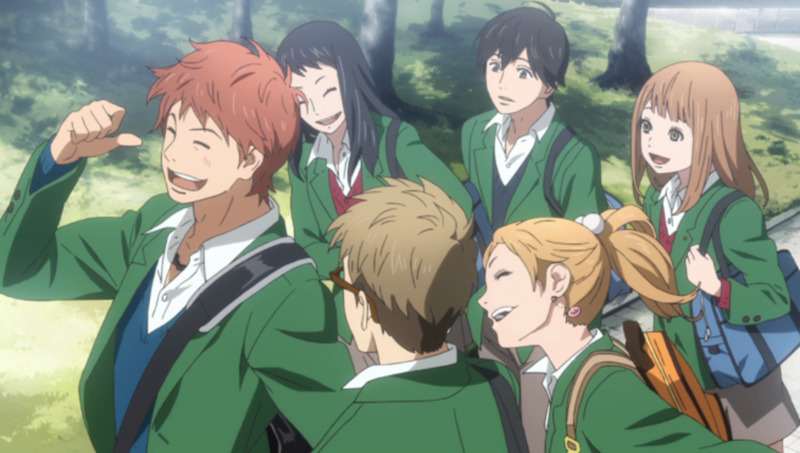 The dark elements is shown when the real life of the main characters are told. The struggles they have in real life dragged them into the MMORPG as a way to escape the cruelty of life. I know its a small part but having this on the show make it more realistic since some gamers are using MMORPG or any other game as means of escaping the “real world”. I know the animation looks boring, but give it props since it was an old anime. It was broadcasted early 2002, so the animation is quite good back then. I know the story is so slow, but it builds the tension in the story so still its good. Lastly, It is better than SAO and any other “trapped in a game” anime. Which of the shows listed above is the best for you? Here is my review on the anime - Ragnarok the Animation. Here are the top 10-6 lists of Mangas/Animes that I am obsessing right now and before and the reasons why I am very obsess to them. Here is the continuation of the list of my all time favorite Anime/Manga. Here are the list of my Top 10 Favorite Characters in Fairy Tail. It may be based on coolness, magic power, strength, on anything I guess. Here is a list of my top strongest characters in the Manga/Anime One Piece. A list of the strongest female characters I know. and some I like.